Mangoes have been used for centuries as medicine and food. They are rich in vitamin A, vitamin B6, vitamin B9, vitamin C, vitamin E, vitamin K, potassium, phosphorus, iron, calcium, fiber and antioxidants. Trying to eat mango on an empty stomach plays an important role in detoxifying the system and providing better absorption of vitamins, minerals and antioxidants. Here are some reasons why you should eat mango every day. Mangoes are rich in polyphenols that can fight free radicals and protect against cell damage that can cause cancer. 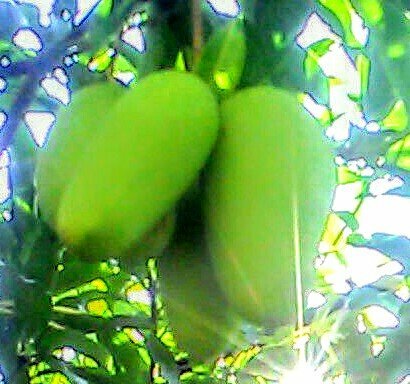 In addition, mangoes have high levels of flavonoids such as beta carotene and alpha carotene which help fight and prevent certain types of cancer. Mango contains high levels of potassium which helps lower blood pressure. Mango is rich in antioxidants that also protect Moms' skin from harmful free radicals that cause premature aging. Vitamin C in mangoes helps in healing acne. Mango contains tartaric acid, malic acid and citric acid which helps the body alkaline. Research is underway to show that mango can help reduce body fat. 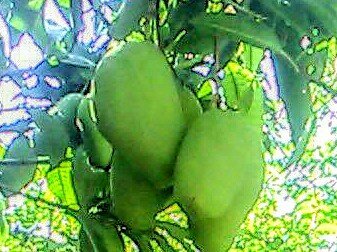 Not only fruit but also healthy mango leaves. For people who have diabetes, simply boil 5-6 mango leaves, leave it overnight and drink the filtered decoction in the morning. Friends of all fruits are able to maintain a healthy body in regular consumption.